What do you all think of this piping? 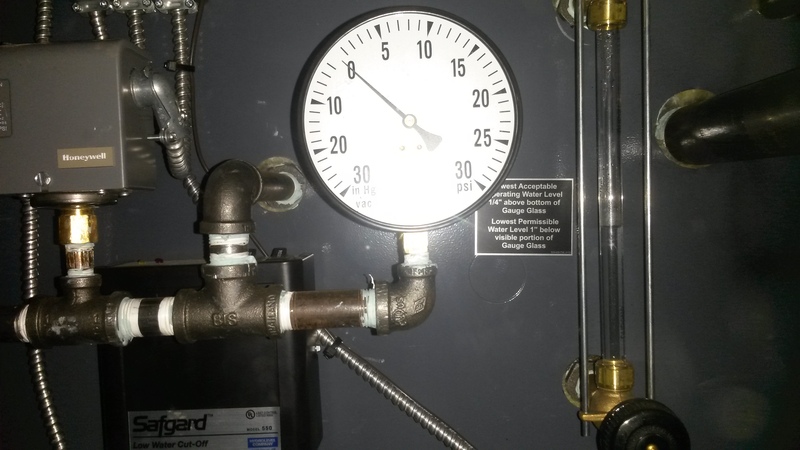 The water level is about on line with the bottom of the pressure gauge. I would have thought the first "L" off the pipe out of the boiler would be aimed upward to prevent water from collecting in the horizontal run connecting the gauge, Pressuretrol, and secondary Pressuretrol. Also, should there be a longer pipe going to the gauge from the "L"? It's a new installation so if needed I will get them back to correct. 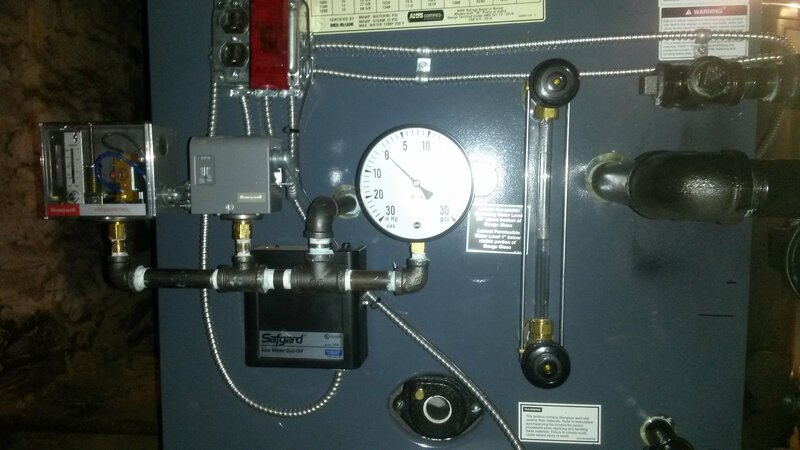 One pipe steam, Weil-McLain 380 being installed now, 3 mains (two are vented with Gorton #2, third has no vent! ), pipes mostly insulated, 32 radiators. Bock 32E water heater, Bock M-SR burner with .75 80A nozzle. I think that's the way Weil Mclain says to do it on that boiler. I can't find it right now, but I know @Steamhead has talked about this before and he doesn't understand the placement. 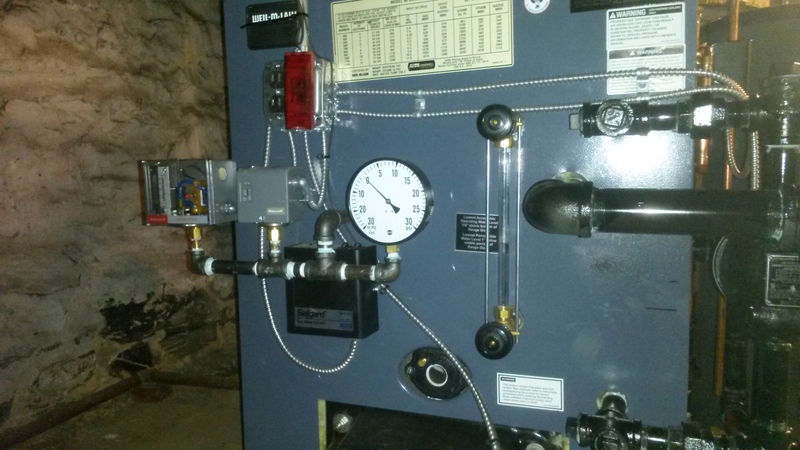 Here is a link to one of his installs of that boiler and you can see what he has done with the controls. In general getting those controls up higher is better for the controls. The piping for the pressurestats and gauge is correct, but the elbow down should be a cross and the ends of the horizontal should be terminated with tees and the one side of the run of the tee plugged. You remove a plug off the cross to fill the horizontal with water. Also, you can remove a plug to clean it out if necessary. You want water to collect there to protect the gauges and the pressure/vaporstat.